While most of the cyclists would zoom past by making no noise, there are areas where you might need a bicycle bell or a bicycle horn. To some, the ringing bell sound is a way to aware the passersby, to some, it's still a nostalgic affair reminding about the good old days. 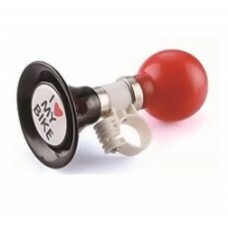 Check out the bicycle bells available online in India. 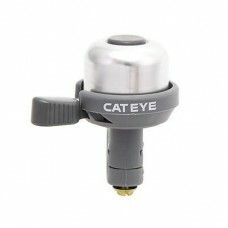 About Cateye Wind Bell PB-1000AL Silver-Green Hit the lever once, it rings twice! Sleek and small a..
About Knog OI Classic Bell Large SilverBike bells generally look & sound a bit ugly. But why? 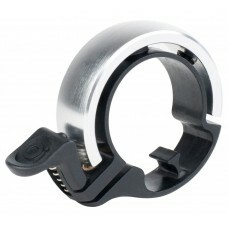 Wh..
About Track & Trail I Love My Bike Cycling Bell Black Red (90P-08)Color: Black Red Material: A..